A new poll out Wednesday from the Des Moines Register and Bloomberg Politics would have gotten Sen. Rand Paul, R-Kentucky, onto the main stage for the Fox Business Network's Republican debate, but the network is sticking to its guns and telling him the results will stand. The Fox Business criteria, released in late December, said that a candidate had to place among the top six candidates nationally in an average of the five most recent national polls recognized by Fox News, or in the top five in either Iowa or New Hampshire, based on recognized polls in those states. They used 17 polls during the selection process, which are listed in a memo from the network. The catch (for Paul, at least): The polls had to be released by Monday, January 11 at 6 p.m. ET. The Des Moines Register concluded their polling by Jan. 10 - the same as the Quinnipiac and ARG surveys, which were included - but they did not release the poll until 6 a.m. Wednesday morning, 36 hours after the deadline. Paul placed fifth in that poll, and including it as one of the five most recent surveys considered would have put Paul in a tie for fifth place with former Florida Gov. Jeb Bush at 4.2 percent, according to CBS News calculations. 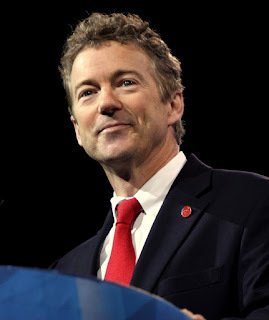 It is a shame if the decision stands and the libertarian-leaning Republican Rand Paul is not included in the debate. Paul's views against an interventionist foreign policy and supporting individual privacy enjoys significant support among Republicans, particularly younger GOP voters. This IS shameful. But then again, it's FOX and it's all about ratings, go ask Roger A. I left FOX News YEARS ago when the idiot Bill O'Oreilly became just too much with his rude screaming and non-stop boasts of his "number one-status" (true or not) and before the deceitful Megyn Kelly was enthroned as the new fake Conservative Bawbwa WaWa. I don't know that I would cast my ballot for Rand Paul but he does carry significant weight in the Party and especially with the younger set (as you point out). I DO want to know why the hell that buffoon John Kasich remains a tier one GOP "debate"-worthy candidate. Maybe it's that FOX News knows he's worth an estimated $2.5M while his wife and daughters (!!!) have an estimated net worth ranging between $9.1 million and $22.3 million, as seen in their personal financial disclosure record. Maybe Kasich isn't such a buffoon after all... like every other Democrat and Republican career politician, he knows how to "hide" his own financial assets from the voters.